As a member of NAPA AutoCare, we offer a 36 months/36K mile warranty to our customers. Cusson Automotive preferred customer program. Purchase 4 oil services get the 5th service for FREE! Cusson Automotive is once again involved with our annual fund raiser for the Intrepid Fallen Hero’s Fund. Now through September each invoice that we produce will have a $5.00 donation towards the IFHF. This year we are also handing out tee-shirts while they last to anyone that spends $250 on their automobile. Regardless if you drive a car, truck or motor home we can all help this great cause. We also have a donation drop box in our show room. Stop by and show your support for our Hero’s. Excellent service as always. An honest, caring place of business! The Hartford chapter of NAPA Auto Care’s B.D.G. (Business Development Group) is giving away a 1994 Convertible Mustang on December 3rd, 2018. 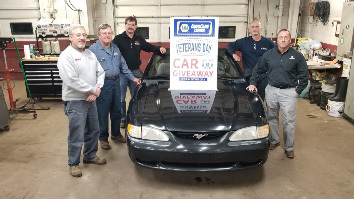 The car was acquired and repaired with the help and dedicated effort of the group in hopes of offering a selected veteran a small token of gratitude for their service to our great country. With their continual support for the Intrepid Fallen Heroes Fund and the unwavering support for our soldiers, the car is another way the group can give back whatever they can. In observance of the Veteran’s Day Holiday on November 11th, 2018 each participating B.D.G. repair facility will be dedicating the entire month of November to a veteran customer raffle. There is no charge to participate and is open to any veteran that presents a service card. Each shop will have a raffle voucher stand at their facility for all veterans to fill out and participate in while their vehicle is being serviced. The winner will be drawn on December 3rd, 2018 and contacted shortly thereafter. Welcome to Cusson Automotive Inc.
Cusson Automotive Inc. has been providing quality car care in South Windsor, CT since 1993. We are a family owned business delivering honest and professional automotive repair and auto maintenance services to the people of South Windsor and surrounding areas. The quality ASE (Automotive Service Excellence) Certified Technicians at Cusson Automotive Inc. employ today’s latest automotive technology and are equipped to handle all major and minor repairs on foreign and domestic vehicles. 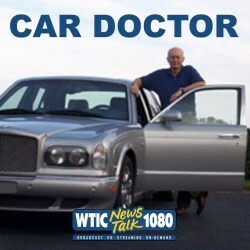 Join Jim MacPherson, “The Car Doctor,” on WTIC! He is the author of two of the AAA Auto Guide series of books: “Buying or Leasing a Car” and “Driving Survival.” He is also one of three reviewers of new carsImage and trucks for AAA Nationally! Be sure to tune into WTIC 1080 Sunday’s 12-1pm for answers to your car questions plus car reviews and more! Listen to our newest radio spot. 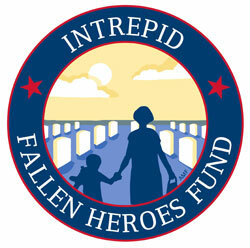 CUSSON AUTOMOTIVE IS HAPPY TO SAY THAT WE ARE DONATING $2,620.00 TO THE INTREPID FALLEN HERO FUND. WE WANT TO THANK ALL OF OUR NEW AND LONG LASTING CUSTOMERS THAT MADE THIS POSSIBLE. OUR TROOPS AND THEIR FAMILIES WILL APPRECIATE THIS OUT POURING OF SUPPORT THAT WE WERE ABLE TO BRING TO THEM. WE WANT TO THANK OUR TROOPS FOR WHAT THEY DO WORLDWIDE FOR US EACH AND EVERY DAY.